In the last chapter of “The day aviation changed”, we saw how one German engineer called Otto Lilienthal achieved what seemed almost impossible at that time: controlled flight. By focusing on gliding flight instead of only trying to get airborne by any means possible with a powered machine, he paved the way for the first powered flight. In this chapter, we will see the first powered flight of a heavier-than-air-machine, but from a different perspective than usual. Our story starts when a retired civil engineer from Illinois called Octave Chanute decided to spend his leisure time on aviation. First, he compiled almost all available data on aviation. 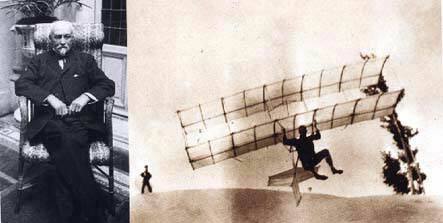 He frequently corresponded with many aviation pioneers, among them, Otto Lilienthal. He also designed some glider models himself, finding moderate success. Most importantly, he shared his knowledge and encouraged other aviation pioneers in their efforts, including a pair of brothers from Dayton, Ohio. They got in contact with Chanute in 1900, after reading his book “Progress in Flying Machines”. Probably, you have already guessed the name of these two brothers. Evidently, they are the Wright brothers and they were bound the make aviation history. The story of their first flight is well-known: on December 17, 1903, the Wright Flyer made short flights amid the sand dunes south of Kitty Hawk (North Carolina, U.S.A). This event is considered “the first sustained and controlled heavier-than-air flight” by the Fédération Aéronautique Internationale. This date is also frequently called “the birth of aviation”. Frequently, the Wright Brothers are credited as being the inventors of the airplane, as if they had come out of the blue with their machine and started aviation, all on their own. From this series of articles, we know that is this an overly simplified view on history. So let’s try to take a closer look at some of the less-known aspects of the Wright brothers’ lives – some of which make his achievements even more remarkable. The Wright brothers were interested in flight from childhood on – this seems to make part of the aviation pioneer cliché. They started their careers as printers and bicycle manufacturers in Dayton, Ohio. In 1896, an event sparked their interested in flight and convinced them it was feasible: Otto Lilienthal’s death in a glider crash brought world-wide attention and publicity to his achievements. The Wright brothers decided to tackle “the flying problem” (as they called it) in a methodical manner. They broke it down into three parts, the same way George Cayley had done: lift, propulsion, and control. At that time, most inventors focused on the first two, while neglecting control. They decided it was best to create a flying machine that was “inherently stable”. This, of course, would make these machines hard to manoeuver. In fact, the trade-off between stability and manoeuvrability is a vital decision in airplane design still today. The Wright brothers chose the opposite approach: they believed that an inherently unstable machine could be controlled and manoeuvred – provided the control mechanisms were reliable enough and the pilot had enough practice. One could even make a point of how much their idea of piloting a plane resembles riding a bicycle. After some initial success flying a kite in 1899, the Wright brothers contacted Octave Chanute, through whom they would get invaluable information about the previous experiments of Otto Lilienthal (with whom Chanute had extensively corresponded). Interestingly enough, the Wright brothers used the same kind of structural design that Chanute first thought up: a series of wires and struts supporting the aircraft. 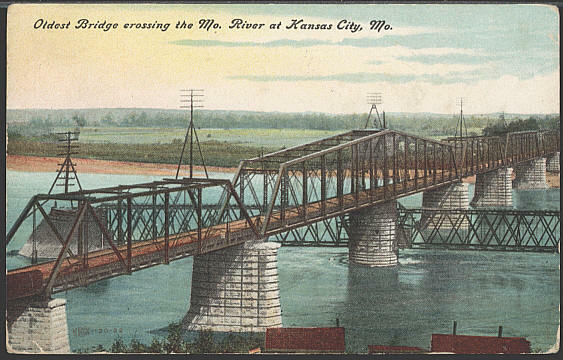 This method of construction would be prevalent for airplanes until almost World War II, and one could again make the point on how that kind of structure resembles the kind of bridges that Chanute and other civil engineers from his time used to build. 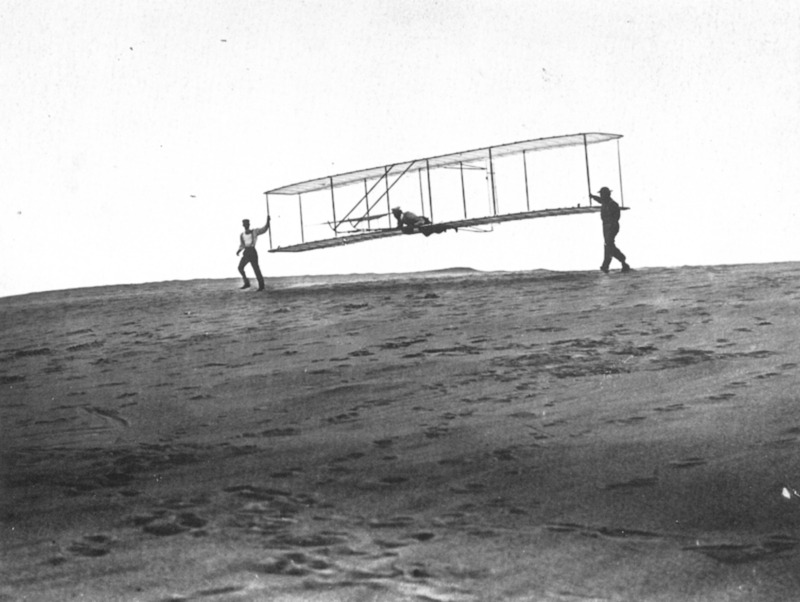 Like Lilienthal, the Wright brothers started their flying experiments by testing gliders in the sand dunes near Kitty Hawk. This place provided them with high winds – and soft sand for less dangerous landings. In many senses, they built up from Lilienthal’s lessons about airplane control. Instead of developing a hang glider (which is maneuvered by the pilot by shifting his weight) they developed a control system based in deflecting the surfaces of the airplane to control it, making it move around its three axes. This is still the same control method mainly used for modern airplanes. Explaining it would require a dedicated article, but let me just tell you a curiosity: the way the Wright brothers’ airplanes turned (and the way almost all airplanes turn nowadays), is by tilting to one side (to be more precise, by “banking” to one side). 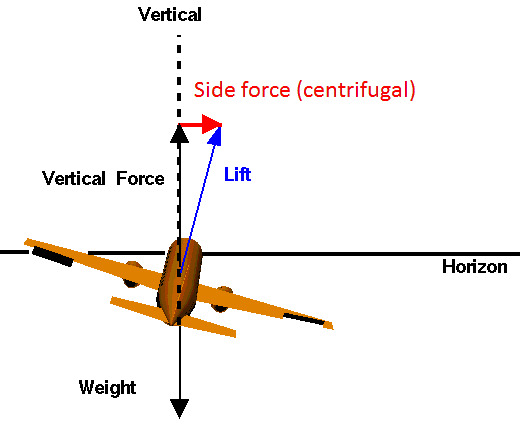 The reason behind it is slightly different from why cyclists do it: in the case of airplanes, banking allows tilting the lift to one side, thus generating the side force (centrifugal force) to make the airplane turn. Again, one could draw a parallel with the Wright brothers’ experience in building bicycles. The first glider designed and tested provided only half the expected lift. The next model had even a poorer performance. Undeterred, the Wright brothers decided to build their own wind tunnel back in Dayton, to produce their own data themselves. They tested about 200 wing designs, and then set out to build their third glider. This time it worked like a charm, so they decided to take the next step: fly a powered airplane. But first, they designed and built their own internal combustion engine (that provided enough power at a reasonable weight) and their own set of wooden propellers. As you can see, every step was painstakingly planned and carried out. For that reason, what happened in Kitty Hawk on December 17, 1903 didn’t come as a surprise to the Wright brothers: they knew that eventually, and after getting through a certain amount of difficulties, they would do it. 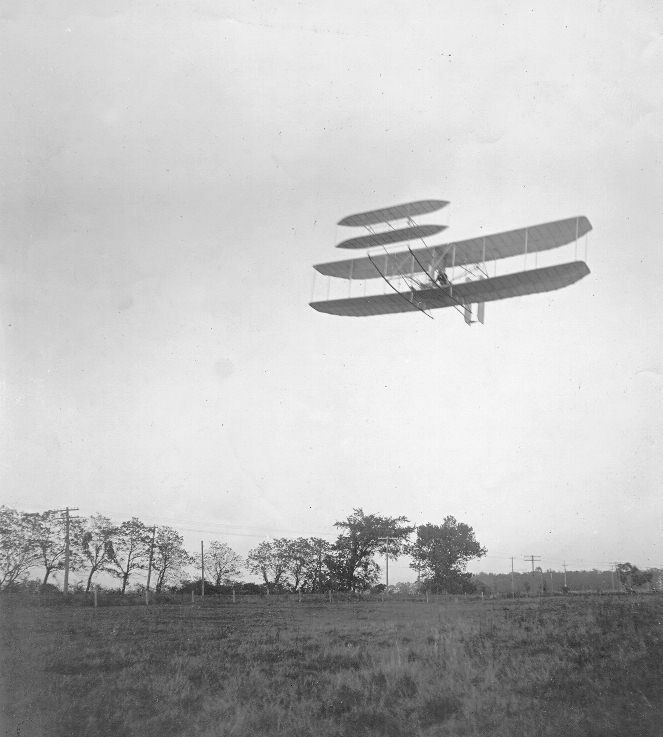 And in fact, the first flight of an airplane was essentially underwhelming: four short hops in a day, the longest of which lasted 59 seconds during which their airplane (the Wright Flyer) flew over a distance of 260m. This was clearly not enough, neither for the Wright brothers, nor for this article. Their objective was not to develop a “flying machine”. They wanted to create a safe and practical means of transportation. Instead of falling into complacency, the Wright brothers decided to go back to Ohio and keep improving their airplane. They even refrained from making public displays until they were awarded a patent and secured enough contracts for the sale of their airplanes. (As a side note: this might seem a bit too cautious, but it was the standard procedure among inventors at that time: first patent, then sell, then make public displays). After many test flights, some crashes, and a radical redesign of their third model (the Flyer III), the Wright brothers accomplished what they wanted: on 5 October 1905, the Flyer III flew for about 40 minutes, covering about 40 km while doing several types of maneuvers, such as turns and climbs. That was it. That day, aviation changed. The age of “flying machines” was over – and the age of airplanes started. This is the end of this chapter. But it is only the beginning for aviation. The Wright brothers would go on to make public flights in Europe and the U.S.A., spurring the imagination of thousands of people. Aviation would grow to become vital during the whole twentieth century, as we will see in the next chapter of “The Day Aviation Changed”.